Honda will focus CR-V production in Canada for North America. Honda no longer plans to capitalize on a newly signed free-trade agreement between Canada and the European Union to increase the number of vehicles it exports from its factory in Alliston, Ontario. As recently as 2015 and specifically citing the Comprehensive Economic and Trade Agreement (CETA), Honda said its Alliston plant would produce the new CR-V model for the European market, marking the first time its Canadian arm would export vehicles to Europe. "The negotiation of a free trade agreement with Europe by the Government of Canada under CETA was a catalyst for our decision to export CR-Vs," Honda Canada Chief Executive Jerry Chenkin said in a statement at the time. Honda announced its change in plans just one day after Prime Minister Justin Trudeau traveled to Brussels to sign the historic trade deal, which will allow Canadian automakers to ship up to 100,000 vehicles to the European Union, tariff free. Honda now tells Automotive News Canada it will instead focus on supplying the North American market through its Ontario operation. 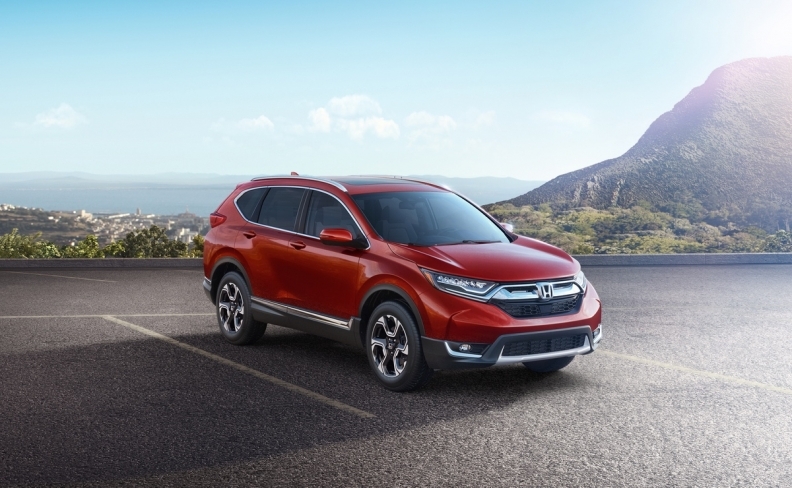 “Due to greater-than-anticipated demand for the current generation CR-V and the 2016 Honda Civic within the North American region, Honda of Canada Mfg. (HCM) is no longer planning to produce and export next generation European-spec CR-V units to that [European] market,” Honda Canada spokeswoman Laura Heasman wrote in a emailed statement. The CR-V set a new all-time annual U.S. sales record in 2015, selling 345,647 units while it maintained its position as the best-selling SUV in the United States that year. The automaker had sold 263,493 units through Sept. 30, 2016, ahead of last year’s pace by 3,999. Honda will now increase daily production at its Alliston Plant 2 facility to 850 units per day to help fulfill domestic CR-V demand. Canadians bought 33,931 units through Sept. 30, 2016, up 4,633 from the same time last year. The Alliston plant has an annual capacity of 390,000 units and employs about 4,000 people. “Honda’s global production strategy is to produce and supply vehicles within local markets,” Heasman wrote. The automaker’s production capabilities are extremely flexible, which allows for prompt global business decisions to be made to meet fluctuating market conditions, Heasman added.